Gone are the days when you needed to write code for creating a website. But now WordPress offers you a lots of customizable themes option through which you can create your professional looking website without doing any coding. Just by Drag & Drop Option! So, here we’ve made a list of those 5 of the best Drag And Drop WordPress Themes offered for WordPress platform which gives you a hassle free website building experience. These WordPress page builder themes allow you to create, edit, customize the layout and rearrange the elements of your site easily and quickly. Moreover, the themes also provide lots of prominent features like an unlimited number of shortcodes, widgetized sidebar, full-width sliders and much more. These easy page builder WordPress themes are fully integrated with WooCommerce, BuddyPress, bbpress which allow you to easily create a social networking website etc. Lets’ dig out this drag & drop WordPress themes one-by-one. 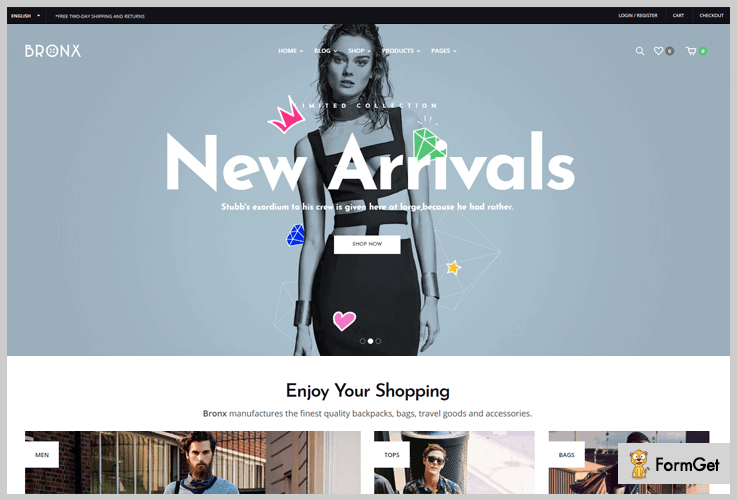 Bronx is an awesome and most powerful drag and drop WordPress theme through which you can easily create a website for your eCommerce business. By using it you will get a lot of creative features on its homepage itself for eg. full-screen slider to reveal your products images, different categories section of your products, full-screen video section and various more. Integrate your business website with this WooCommerce theme and start selling your products online. This theme charges you only $59 for providing unlimited and useful services with 6-month supports. Provides a newsletter subscriber button to your customer to get the updates about latest offer, services, discounts etc. Unlimited widgetized sidebars to display price filtration section, color, products section and more. With its strong visual composer, you can make full control over your every page of a website. Show your product images in a full-width slider with add to cart & wishlist buttons. Limitless is a clean & multipurpose WordPress theme for creating a website with easy drag and drop plugin. This theme is loaded with full advanced & popular technologies like RAD builder & Enigma styler tool through which one can make changes on their website without touching any code or CSS file. This theme is best suitable to create a website for business, hotels, architecture and many other business purposes. You can purchase this responsive WordPress theme at $59 only and get its limitless features and functionalities. It has a full-width slider image on the homepage with various stylish and attractive effects with different custom menu buttons. This theme is fully compatible with Yoast SEO plugin so that there is a more chance to increase the search engine ranking of your website. Unlimited sidebar option for changing the background color & style, select layout or menu option etc. It provides 50+ more shortcodes options such as scrollbars, lists, tabs, button and more. With its flexible layouts, you can convert portfolio templates to another template whichever you want. 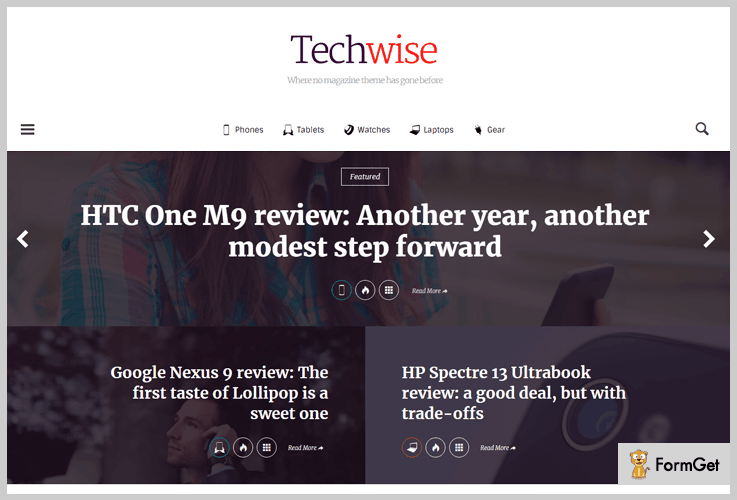 Techwise is easy-to-use and simple drag & drop WordPress theme through which one can easily create their website without any coding skill. You can use this theme for selling your various products online whether it is gadgets, gear, latest technology etc. This theme is designed for any content site. TechWise provides you a lot of useful features for your better customer satisfaction such as menu button and various custom menu pages on the homepage, full-width slider section for your product images and many more. You can buy this theme at its regular license at $49 for 6-month supports and extended up to at $62.88. It provides unlimited widgetized sidebar menu like product categories, widgetized style to add your most viewed product & liked products, high rated items and more. Product image area to display your products images with their review, price, and full details. It has a purchase to cart button as well as remove button on the header section of the homepage. Support AJAX plugin so that your customer can easily find the information which they are looking for. Newser is designed with a superlative technical code which is best suited for any kind of business. You can use this feature-rich theme for blogging as well as an eCommerce site. This theme comes with a full support of bootstrap framework through which you’ll get the entire designing library under the one roof. It is completely integrated with BuddyPress to convert your website into social networking site easily. 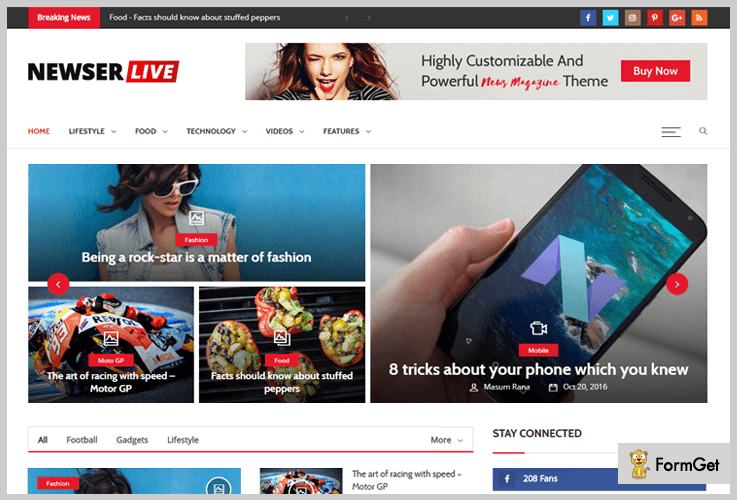 Buy this WordPress theme at its regular license $49 and extends its price up to $2300 for unlimited features and functionalities. The theme has a subscribe us button so that your customer can easily get subscribed on your site. It provides 1000+ creative homepages for showing your different blogs in a slider form. Gives you a toggle menu button to hide or unhide your custom menu pages. Provides toggle setting to display the video, audio, news doc etc. 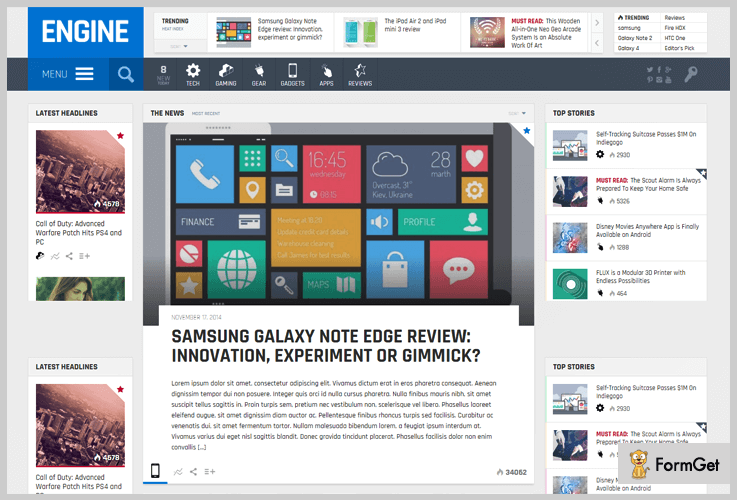 An engine is a magazine theme which is designed for any type of blogging website. With its easy drag & drop plugin, you can build a perfect eCommerce site to sell your gaming, magazine and various gadgets products online. The theme has a numerous of useful features such as various numbers of shortcodes, contains stylish typography layout which attracts your users, unlimited sidebars i.e. product page, category etc. also you will get a blog section to share your post about your latest products and services. You can get this high-performance WordPress theme at $49 only and use its unlimited services with 6 months support. Engine offers you a lot of mega menus (scroll & down button) which save your lot of effort by installing an extra plugin to manage your website. The theme supports both BuddyPress & bbpress which allow you to easily add a forum on your site as well as create a social networking website. This theme allows you to create unlimited product directory according to an alphabet, popularity, newly launched etc. Supports AJAX plugin so that one can easily search anything on your site. After a lot of research, I came to the conclusion the these selected 5 drag and drop WordPress themes are best suited for creating a website for any business. These fastest loading themes for website building offered for WordPress platform gives you a hassle free website building experience with its various superlative features. If you have any questions or suggestion, please feel free to comment us below and we’ll be more then willing to help you through.